LED cabin lighting, from Ikea? 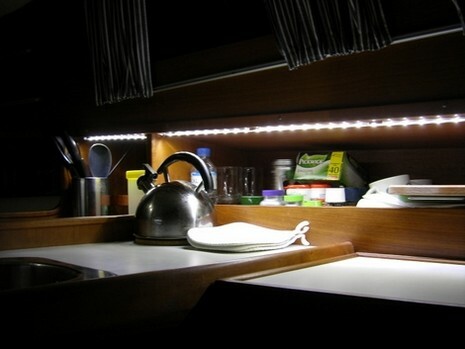 LED interior boat lighting, perfection in sight? I have been waiting for LED lights from Ikea for years. After my son informed me that an Ikea near Zurich was loaded with LEDs I went to my local US Ikea and found only Christmas-type LED strings. The rest of the lighting department was still halogen with some compact fluorescent. All have worked well. I have also converted an Ikea desk lamp to a 12v LED cluster. 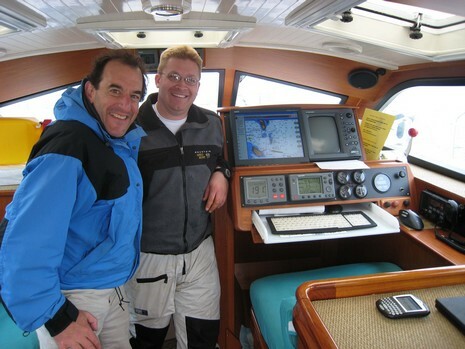 One warning about LED’s, Especially on Boats; I was told by a SAR Helicopter Pilot that LED bulbs don’t show up on night vision Goggles. he says a Light is the best way to be found at night, but your best to use a normal Incandescent bulb. Is the power consumption 6.7W at 120V for a 2′ strip? That seems like a lot? I wonder how tolerant they are of 12v system charging voltages (+14v). 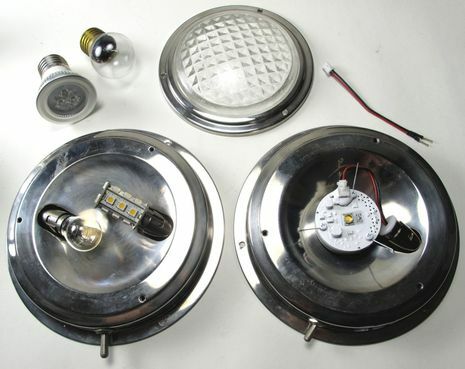 I have installed them on my boat and love the quality of light they give. More amps for other PANBO goodies. Ikea “Dioder”: The white version spec is 3.4 W, the multicolor spec is 6.7 W (from the US Ikea website). The white version would produce white light using a phosphor coating. You may or may not like the quality of this light. I’ve seen the Ikea Dioder but didn’t pay any attention to it since it wasn’t for 12V. The multicolor version would produce white light using red, green, and blue LEDs. I expect this to produce a nicer white. Does it? With those three LEDs, each either on or off, you would get 7 colors: all on (white), one on (red, blue, or green), two on (cyan, magenta, yellow). So wiring a white or red switch would mean switching power to all RGB or just R. Although I hear that green is actually better for night vision use than red. No, that isn’t true. NVGs amplify any white light just fine. There are even IR LEDs. The only issue with IKEA lamps and other transformer driven LED strips is that they are resistor controlled LED products designed for precisely 12VDC (from the transformer plugged into a wall). Because the resistors are sized for the 12V input voltage, and a resistor is not capable of varying output, except proportionaly with the input voltage, the LEDs will die a quick death from overcurrent at say 14.5V while charging (if wired without the transformer). This is because with LEDs the increase in current is actually not linear as the voltage increases. At 14.5V the LED sees an increase in current at least a 25% over its design current, which quickly overheats the LED junction. A rule of thumb is for every 10° C increase in junction temperature you halve the life of the LED! 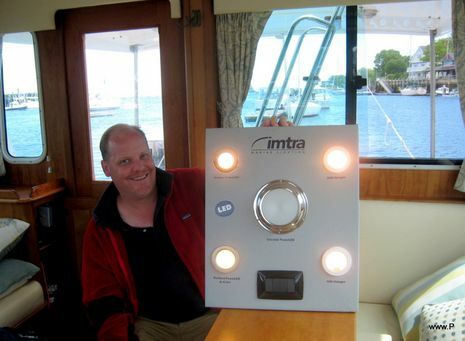 Using LEDs on a boat is a very misunderstood topic. In the “Idiots Guide to Marine LEDs”, page 2, it says a 10 degree Celsius change is the same as a 50 degree Fahrenheit change — not correct. On pages 3,4 and 7 it claims that cheap LEDs emit quite a bit of UV radiation. This is a claim I had not seen before, and I am having difficulty finding anyone else making this claim. Since UV is a safety issue, I would like to see references for this. UV LEDs do exist, but I’d be surprised if ordinary LEDs generated any significant UV, cheap or not. Thanks for the input. It would be great to make this into a living document or wiki to be sure all the info is accurate and well stated. I have reviewed those parts of the document, and agree that the UV information was misstated. I have revised the information in the document to clear up any mistakes, as the goal is to clerify the many issues around LEDs, and not further muddy them! While many white LEDs are actually blue LEDs with yellow phospors, and in the cheap unbinned type, and in full spectrum type, can be found to emit near-UV (UVA ~400nm), the quick research I did indicates that the intensities at this level are not only not dangerous, but in fact probably less than that emitted by incandescents. 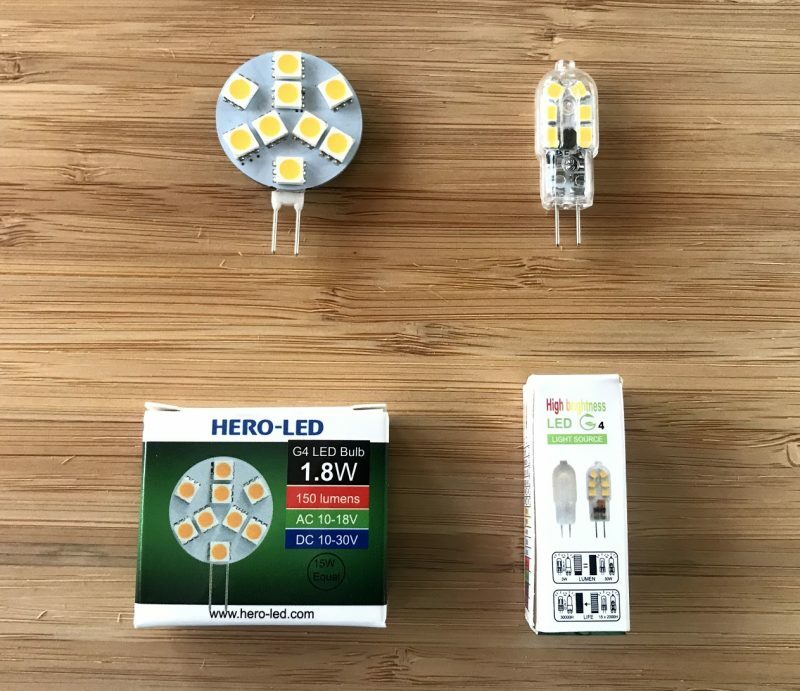 A better point to be made is that the color, intensity and forward voltage, etc of unbinned LEDs is completely subject to the wide variation of the LED manufacturing process. They can, and do, vary all over the map, as is the reason for binning in the first place. The parenthetical Farhrenheit temperature information was added to the industry rule-of-thumb –by me– simply as a C to F reference as I was thinking that it would be helpful for those that don’t think in metric system. But, it was, as you have pointed out, a stupid oversight, and something I learned way back in the 5th grade! At the 125°C temperature that most high output LEDs like to stay below, a 10° C increase translates to something more like 18°F. One last nit-pick. In the example at the end of page two, where the voltage increases 25% — that causes the current to increase also, so the power increase here is more than 25% (power is voltage times current).